As soon as I saw the announcement for the Sudoku Wardrobe contest I immediately knew I would enter. I love a brain teaser and I love to sew so a contest this was right up my alley. I approached this wardrobe Sudoku board just like I approach a game of Sudoku, with the givens (the hints that get you started). For me the givens were the pieces that were already on my spring To­-Sew list. I originally wanted this contest to serve a dual purpose as a stash busting and wardrobe builder. However I when I came across this Asian Floral Multi print crepe on Joann’s website I had to have it! I fell in love with the large scale of the print and the aqua, green and violet screamed spring to me. PLUS it still included my favorite black and white, I was sold. This piece served as the inspiration for the whole wardrobe. This fabric came in a crepe and twill and I decided to use both. The first piece I made was the V8977 tunic (row 4, column 3) and I love the way it turned out, it just screams spring which is exactly what I wanted. Next up I sewed a striped tee, NL 6838, in a B&W stripe, because who doesn’t need this tee? The green cropped pants, S8093, were the third piece I finished and after getting over my uneasiness with the length I now love them. The romper was my challenge piece for myself because I really wanted to make a romper but I didn’t want to have to make two tee’s to make it work in the grid, so instead I decided to make the bib of the overall detachable so it could be worn as just a skirt with the white ballet top. Speaking of that ballet top it turned out great minus the length but it still works with the three bottoms. The black pants are another fave as they *almost* fit to the perfectly straight from the pattern, next time I’ll cut a size smaller but grade to the larger waistband size. I just love the zip at the ankle. The last piece I made was the twist front splatter shirt that was one of the quickest pieces to whip up. For the accessories, I decided on two clutches because that’s really all I carry. I ended up making three clutches and I was going to narrow it down to two, but I ended up liking all of them so they all made the grid. I debated quite a bit for the last piece but in stretching my inspiration fabric to the max I was able to make a simple scarf that can be used as a turban, head scarf or traditional neck scarf. I really love my wardrobe and I hope you do to! Please vote for me, between April 3rd-10th if you like it! 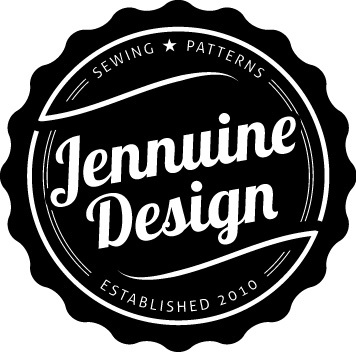 *Note: You have to already be a member (paying or non-paying) of patternreview.com to vote.